The Suzuki experience is about your child first, playing the instrument second. Watch how your child learns,nurturing your child’s spirit and building her self confidence, yet instilling a sense of achieving excellence at every level.It is important for the teacher and the parent to work together to provide the motivation for the child to reach a level where she is capable of appreciating her progress. It is normal for the motivation level to shift back and forth between the parent and the child. The Suzuki experience is about your child first, playing the instrument second. Watch how your child learns,nurturing your child’s spirit and building her self confidence, yet instilling a sense of achieving excellence at every level. 2. No one enjoys doing something they do not do well. 3. There are going to be good practices and there are going to be bad practices. 4. Practice makes permanent, not perfect. 5. Be consistent and try to practice only on the days you eat. 6. The three most important components of this method are parent involvement, listening, and reviewing with a purpose. 7. Our ultimate goal is for the child to experience intrinsic motivation as well as eventual independence. 8. Learning the notes (and bowings) to the newest piece is not as important as strengthening the child’s technical foundation through review. 9. Music lessons and practices in general are filled with life lessons. 10. 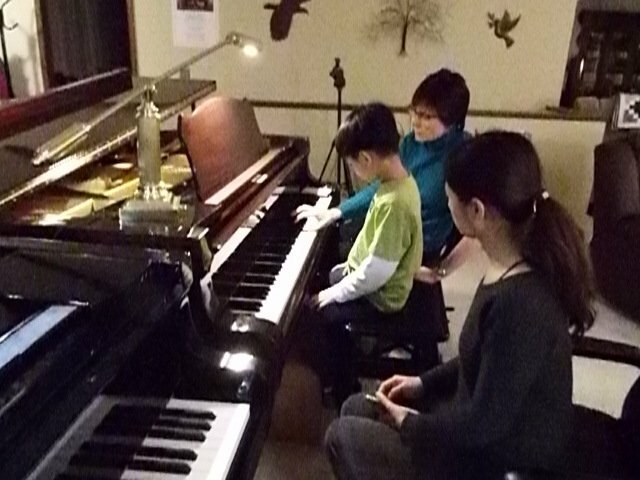 Never have your child play his newest piece at a solo concert or master class. 11. Allow your teacher to control the lesson unless your opinion is invited. c. The results to look for that match your teacher’s concept of excellence. 12. Communication with your teacher is imperative. 13. Never compare your child to someone else. 14. Do only what the teacher asks. Do not go ahead. 15. Enjoy each step of the journey. Do not focus on the destination. Small successes should be celebrated at every turn. All the small steps lead to accomplishment of the larger goal.